London Fashion Week is fast approaching, with over 170 designer brands heading to the capital to show us what they will have in store for the spring/summer 2017 season. While we can’t quite bring ourselves to acknowledge that summer is almost over, the prospect of a fresh batch of trends and some new designer names to know, certainly softens the blow. The dates for your diary are Friday 16th – Tuesday 20th September 2016, with Teatum Jones kicking things off at 11am on day one, and Oliver Spencer wrapping things up at 6:30pm on day five, before the fashion elite move on to Milan. What comes in between will be a back-to-back marathon of shows, every hour, on the hour, presented by designers including Mary Katrantzou, Mulberry and Roksanda. London Fashion Week will return to Soho’s Brewer Street Car Park for another season, filling its floors with hundreds of exhibition stands as well as the all-important catwalk space. For the first time, Burberry will be relocating its show to Soho, swapping its usual tent in Kensington Gardens for the new ‘Makers House’, situated at 1 Manette Street. Other designers will be choosing venues all over Central London in attempts to provide the perfect backdrop for their show. Who are the new names to watch? The London schedule is heaving with new talent, namely Alice Archer, Caitlin Price and Fashion East’s Mimi Wade. 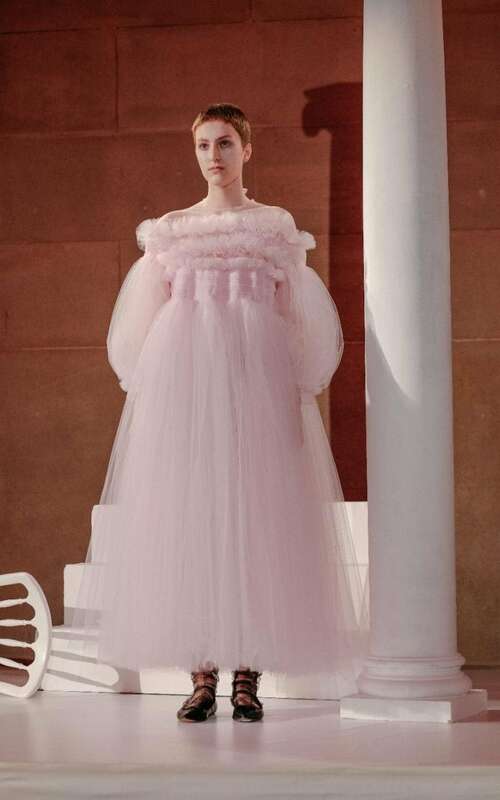 Molly Goddard makes her solo runway debut with some venue support from Topshop, and our hot tip to look out for is A.V. Robertson, also of Fashion East. Marc Jacobs and Katie Grand supported her debut from the front row last season – surely a sign of great things to come? What are this season’s most-wanted tickets? Samantha Cameron at Christopher Kane’s show last season. Christopher Kane is celebrating ten years of business next month and is bound to do something special to mark the occasion. Now at the helm of a well-established fashion empire, he’s come a long way since we first saw those safety buckle-belted, neon minidresses in his spring 2007 debut. Versace’s little sister line, Versus, should also be a hot ticket, as Donatella returns to London’s schedule after showing in Milan last season, and MM6 Maison Margiela re-joins the schedule, too. Burberry’s first pass at its new see-now-buy-now structure, meanwhile, will be a major talking point long after the shows are over, as the entire industry reflects on the speed at which we are consuming fashion shows and the immediacy of demand from customers who are hungry to buy what’s next, right now. Click here to read more from article source!